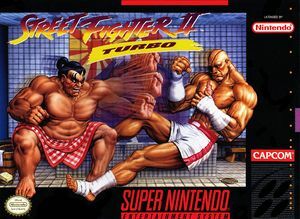 In Street Fighter II Turbo: Hyper Fighting they're back and they're badder than ever! Faster, stronger and with all new moves, twelve of the greatest fighters from across the globe are ready to do battle! Choose your champion and get ready for the big brawl as they try to earn the right to battle M. Bison for the title. And just when you think you've mastered it all, crank it up a notch and go TURBO! The graph below charts the compatibility with Street Fighter II Turbo: Hyper Fighting since Dolphin's 2.0 release, listing revisions only where a compatibility change occurred.